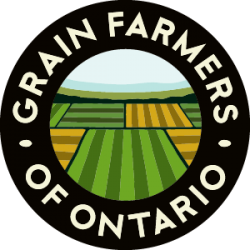 GUELPH, ON (February 10, 2015) – Grain Farmers of Ontario is pleased to announce Mark Brock as new Chair of the Board, effective today, February 10th, 2015. Mark Brock is Grain Farmers of Ontario’s Director for District 9 and has held the position of Vice Chair of the Board since 2012. 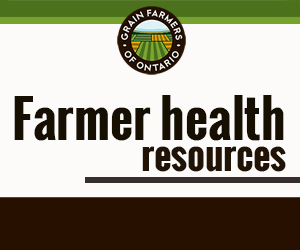 Brock has also sat on several committees for Grain Farmers of Ontario and is well prepared for the role of Chair. Grain Farmers of Ontario would like to thank Henry Van Ankum of District 10 for his dedication as the Chair of Grain Farmers of Ontario since 2012. Van Ankum has been an integral part of the Grain Farmers of Ontario organization while completing the maximum Chair term of 3 years. Over that time, Van Ankum has been an important voice for grain farmers across the province and has been actively involved in numerous issues including the risk management program, plant breeders rights, and pollinator protection. Elections were also held today for the Executive Committee. Grain Farmers of Ontario’s Vice Chairs are Mark Huston, Director for District 2, and Markus Haerle, Director for District 14. Scott Persall of District 5 will hold the position of Executive Member.